This week’s SAP Financial Services Forum in London was a reminder of the supplier’s strengths and weaknesses in this sector. 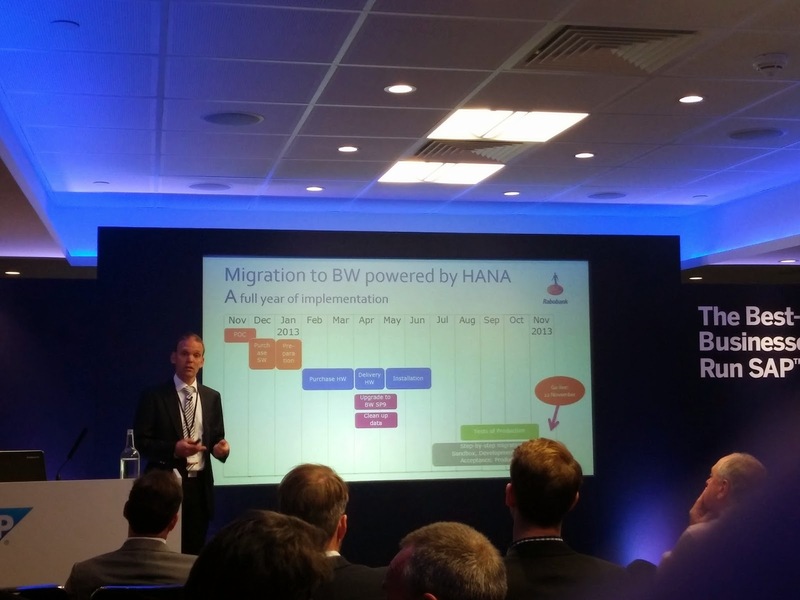 It was also a reminder of just how far SAP has moved in the last few years from its Walldorf and ERP centricity. In part through some major acquisitions, of course, it is now far more diverse and international than it was, with this also a key reason for almost ten per cent of its revenues now coming from the financial services sector. One attribute – both a strength and weakness – is that its presence in most banks is piecemeal. It has a database here, a reporting tool there, an ERP suite in one bank, a lending system or core banking system in another, a CRM or channel solution in the next. The number of banks, at least outside of Germany, that have anything like breadth of SAP products – and therefore tend to view it as a strategic supplier – is relatively few. Even those banks that presented at the two-day forum fell into this category. For instance, BNP Paribas talked about its capital markets risk management but SAP’s part of this is only the Sybase IQ database. At least another presenter, Nomura International, has Sybase IQ alongside SAP’s Business Objects suite for reporting. Barclays (on stage three times) presented on payments, where the involvement of SAP seems to be purely within an unpaid proof-of-concept project at present. There are some exceptions and these are notable. CBA in Australia would certainly view SAP as strategic, with the latest additions to its coverage coming in insurance, wholesale lending, multi-currency lending at home and abroad, and sales and lead management (apparently replacing salesforce.com), with the bank also said to be ‘exploring’ HANA and HANA Enterprise Cloud (SAP’s Sybase-derived in-memory data platform). Ross Wainwright, global head of financial services at SAP, cited CBA’s reduction in cost/income ratio for retail banking from 45 per cent to 39 per cent as evidence of the success of the SAP-led transformation. Similarly, Nationwide in the UK, Standard Bank in South Africa, and some tier three and four banks that have taken SAP for core banking, would view SAP as strategic. Two other Australasian banks, Kiwibank (starting with payments) and Macquarie Bank (starting with loans), have followed where CBA has led. And one hopeful sign for SAP is that CBA has been doing a good job of populating other tier one banks with senior operations and IT executives of late. Michael Harte has joined Barclays as chief operating and technology officer. Perhaps tellingly, he presented at the London event. Ross McEwan, ex-head of retail banking at CBA, was recruited by RBS to lead its retail banking technology overhaul. David Boyle joined NAB from CBA in early 2014 as CIO – SAP would particularly like to usurp Oracle from this Australian bank’s core banking strategy. The Australasian story points to another issue, namely that English and German-speaking markets are the strongest for SAP by some distance. When SAP talks about its successes in Asia Pacific, it can reel off more Australasian examples, it seems, than in the rest of the region as a whole. It has a presence in Westpac (corporate payments) and ANZ (interestingly, the bank is live in Hong Kong with SAP for internet and mobile banking on the front-end of Infosys’ Finacle, with other sites to follow). Of customers in the wider area, there is CIMB Negara in Indonesia (e-banking front-end interfaced to Silverlake’s SIBS core system), a couple in Japan, including Fuyo Leasing, Vietcombank in Vietnam for internet and mobile banking, a few in India (including a high-profile project at Adarsh Credit Co-op) and a relatively small number of others dotted around. Part of the cultural change at SAP, according to insiders, is an extremely aggressive sales approach, with a strong emphasis on quarterly targets. This sounds more like Oracle than the SAP of old and might not help the build-up of long-term relationships in financial services. One thing that doesn’t seem to have changed is SAP’s tendency to promise too much, too early at times (it did this in core banking and is arguably doing the same with its bank-to-corporate payments solution, the Financial Services Network, perhaps also with HANA for its financial services applications). SAP is also having a hard time from a few competitors, particularly relative upstart in the ERP space, Workday (which is gunning for Oracle and SAP and is making good headway as well as ever broadening its suite to compete with the two heavyweights). Workday apparently has a slide in its presentations to prospects showing the SAP logo covered in cobwebs and it hasn’t been shy of telling the market of its supposed benefits over the giants. So the SAP story is somewhat mixed. It has interesting opportunities, not least core banking, following the go-lives of the last year or so that are starting to banish the memory of some of the less successful episodes. It is certainly good at events (the Financial Services Forum had around 500 attendees, albeit a drop in the ocean compared with the colossal annual SAP Sapphire), has huge scrutiny from the analyst community, which is always out in force for such gatherings, and is always interesting to follow, not least because it doesn’t do things by halves.